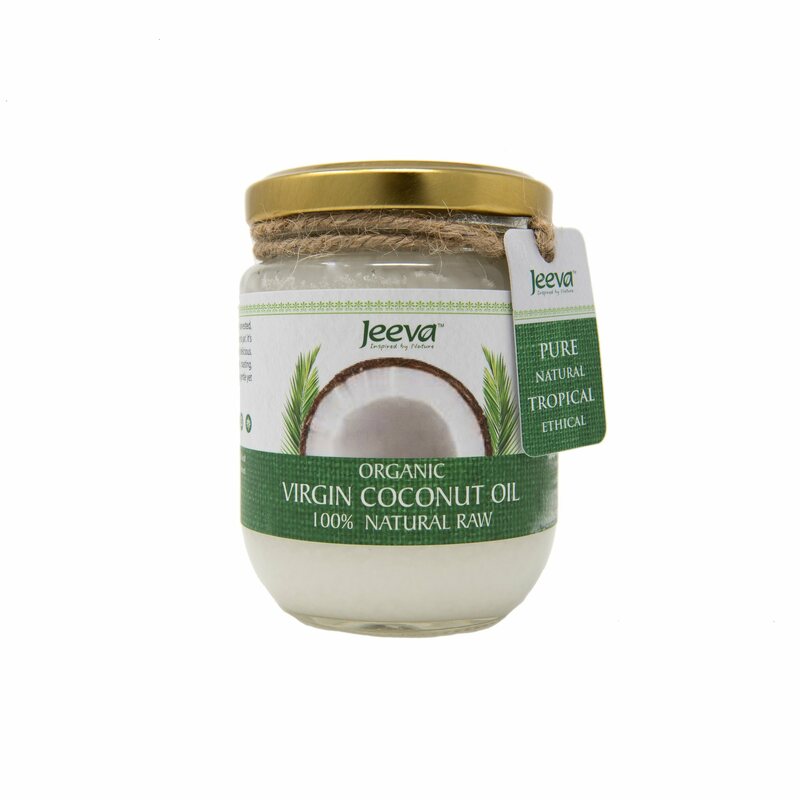 Jeeva's Organic Raw Extra Virgin Coconut Oil is Inspired by Ayurveda. 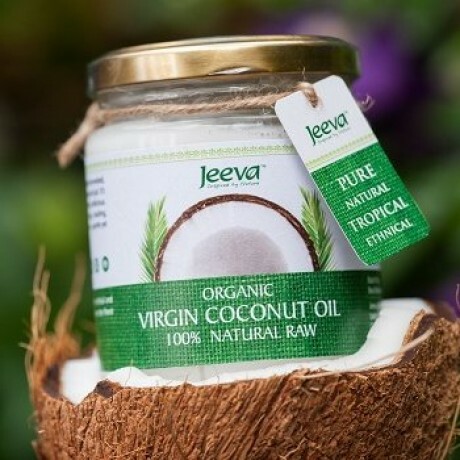 Jeeva premium Coconut Oil is 100% Pure & Natural, made from the milk of freshly harvested organic Indian coconuts; which are naturally richer in Lauric acid. 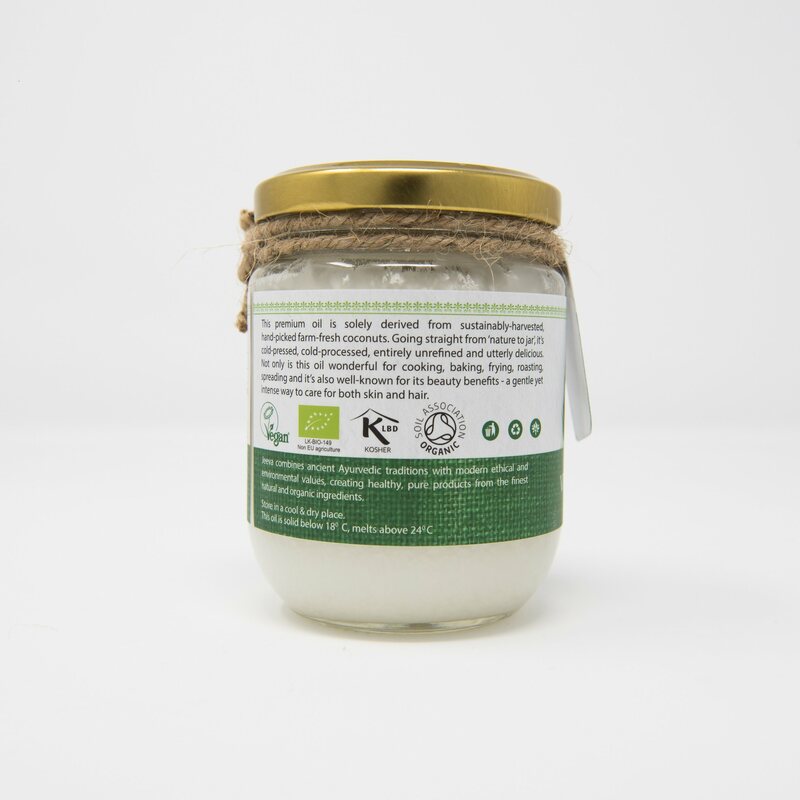 It is 100% Cold-Pressed and Cold processed resulting in a product which is a raw unrefined and as close to the natural state as possible. This Coconut Oil is wonderful for cooking (safe for cooking due to the high smoke point), baking, frying, roasting, spreading, smoothies, salad dressing, also commonly used on hair and skin. Fresh: Handpicked, farm fresh Indian coconuts are crushed and pressed within minutes of de-shelling. Pure: Our Centrifugal process separates the premium oil form the milk without using any heat treatments. 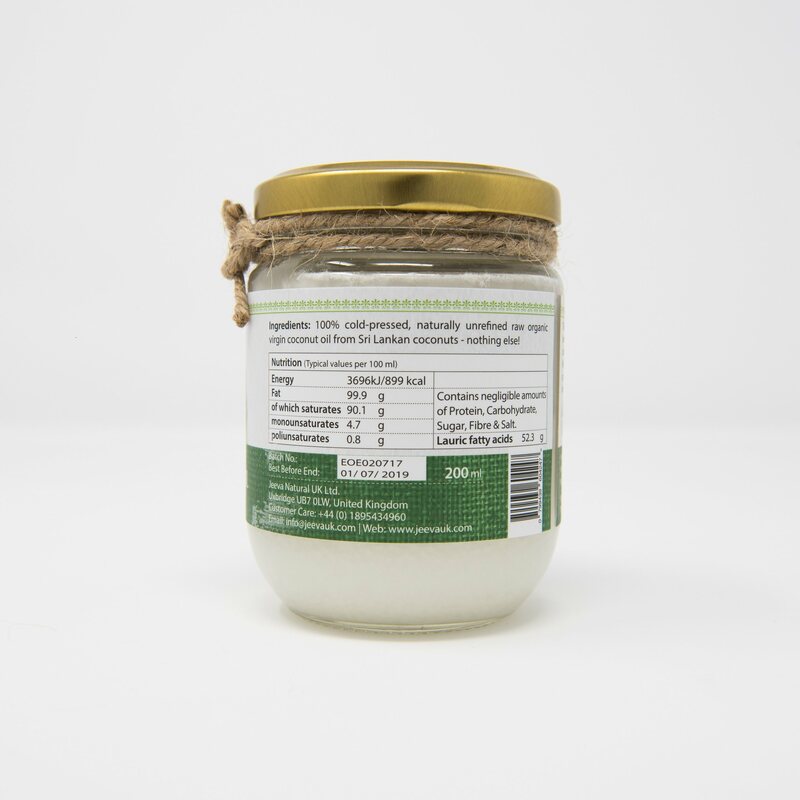 Natural: All our coconut oil is cold pressed and cold processed, remaining as close to its natural state as possible, and bringing full of coconut goodness. 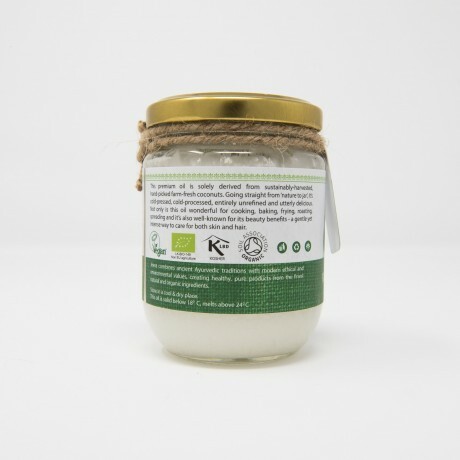 Available to buy as a 200ml or 500ml jar.